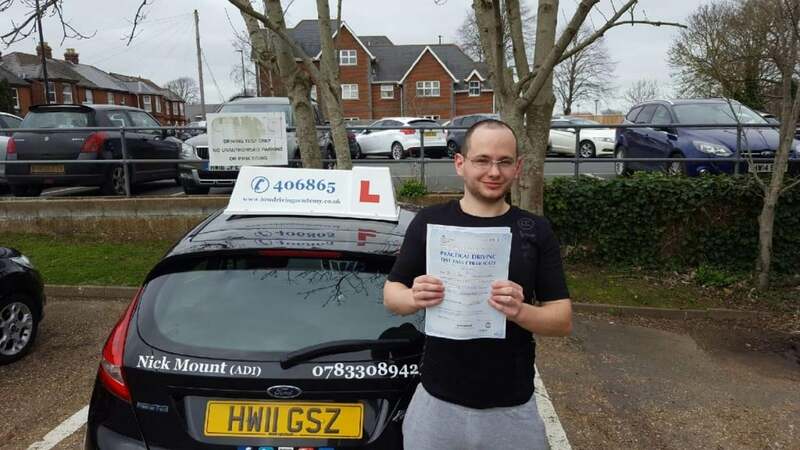 Adam Sowerbutts 1st time driving test pass. Adam Sowerbutts 1st time driving test pass. CONGRATULATIONS to Adam Sowerbutts on passing his driving test today, Tues 14th March 2017 at his first attempt. The I.O.W Driving Academy is proud of the quality of their fully qualified DVSA Driving Instructors who provide the highest quality of driving tuition. We teach in a relaxed atmosphere which promotes a good learning environment. We are committed to teaching ‘safe driving for life’ and are one of the premier driving schools on the Island. If you want to become one of our success stories for 2017 then just call our friendly team on 0800 193 7677.